When I’m traveling, I’m not opposed to doing tourist-y things. But if I’m going to do them, I prefer to do them as affordably as possible. Sometimes you can’t avoid admission fees and exorbitant costs to experience once-in-a-lifetime activities, but I’ve gotten pretty good at finding frugal activities no matter where I go. The recent Florida trip was no different. 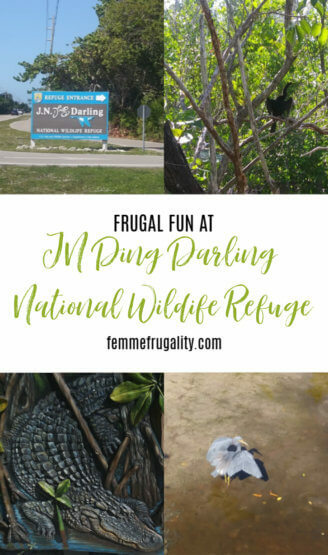 We were able to take part in two non-beach-related activities while we were in Fort Myers Beach: JN Ding Darling National Wildlife Refuge and The Mound House. Both were really cool, and I’m going to let you in on all the deets of The Mound House next week. 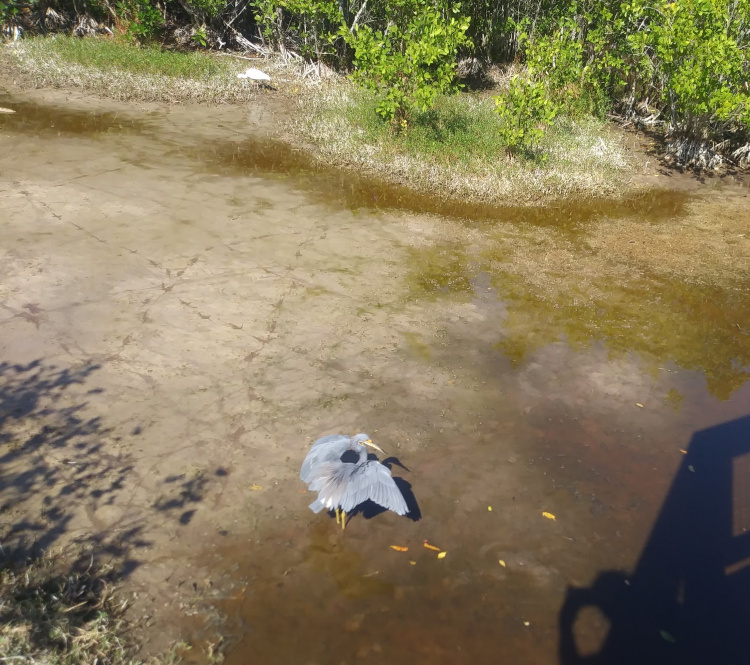 But today I want to tell you all about our low-cost trip to the wildlife refuge. 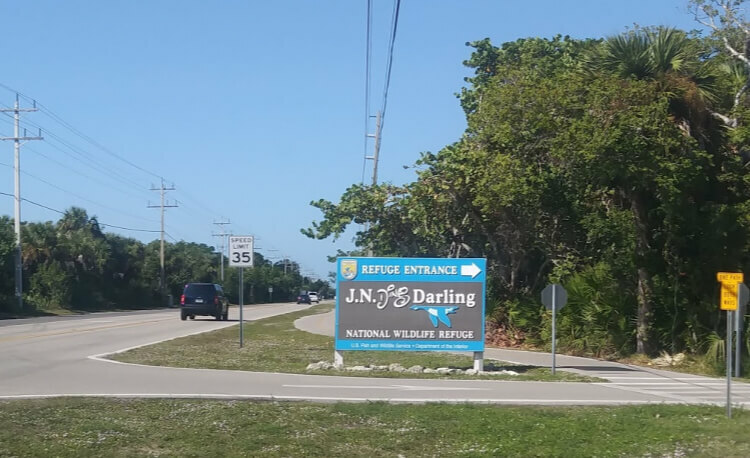 JN Ding Darling National Wildlife Refuge is on Sanibel Island. We were staying on Estero Island, but the trip over to Sanibel was pretty darn short. When we got there, we headed into the visitor’s center, which has a ton of fun educational displays and activities about the local flora and fauna. It also features the history of the refuge and JN Ding Darling himself. Also, the visitor’s center is free! While we were there, we learned about the refuge’s app. It looked pretty cool, and was going to be super interactive for the kids on our self-guided tour, but the sun was super bright and we had trouble seeing the screen while we were outside. No complaints about the warm weather. I’ll take not being able to see my screen over the snow I was trying to escape any day. From there we hiked the trails. It was really cool. The first portion reminded me of our hike down the Mayan-maintained walkways of the Yucatan rain forest. We were on a raised platform among low trees with wildlife potentially lurking all around us. 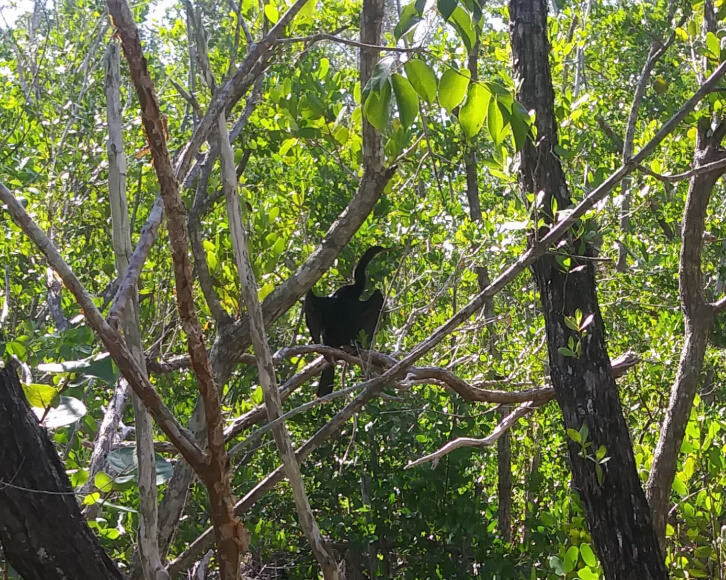 We mostly saw birds, but we also saw fish and spiders as we made our way through the mangroves. The second path we trekked was made completely of seashells where you’d expect to see gravel. We made it to an observation center where I finally was able to conceptualize the Laetoli footprints. Visit the wildlife refuge is incredibly affordable. Like I said, the visitor’s center is free. And the three paths you can walk or bike are pretty darn affordable, too. The Bailey Tract is free, and the Indigo Trail is only $1/person. You can also do wildlife drive, which can be visited via foot, bike or car. It’s closed every Friday–which is the day of the week we visited–but you can catch it every other day of the week for $5/vehicle, $1/pedestrian or $1/bicycle. Whichever path you take, I highly recommend the refuge as a quality activity that you won’t even know you barely paid for. I’m currently documenting this Florida trip on Instagram, including some more pictures of the refuge, so be sure to follow along! 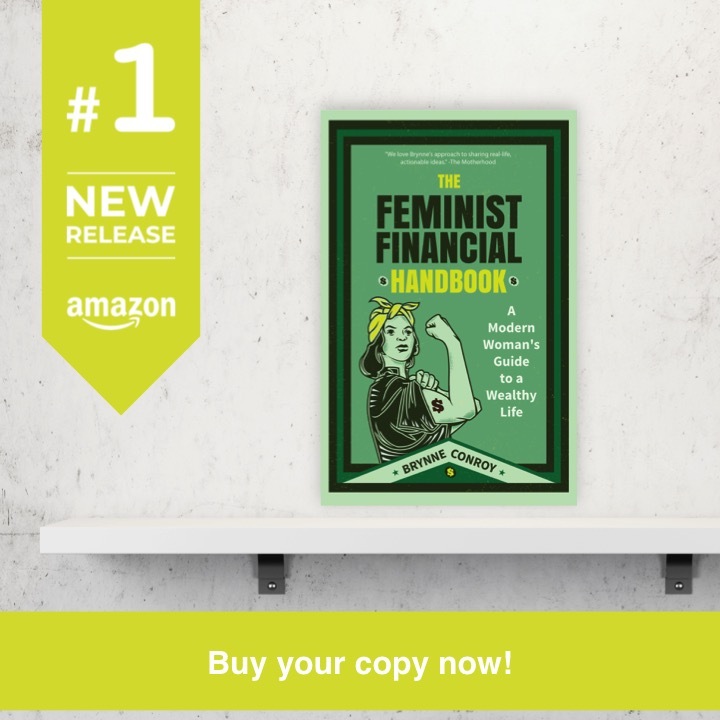 This entry was posted in travel on January 17, 2019 by femmefrugality. Sounds like fun. I hope it wasn’t too crowded. That’s a big thing for me on whether I want to do something. I’m not a big fan of crowds. I also don’t like the thought that I’m doing the same thing that everyone else is doing. That takes a little bit of the ‘experience’ away from me as it just doesn’t seem as special. Yeah, I hear you. I’m not a fan of the huge crowds either. Sometimes they, along with more expensive admission fees, can’t be avoided. Like when I went to Fushimi-Inari in Japan it was crazy crowded. Not expensive at all, but it was something I knew I wanted to see even if it was with 50 bajillion other people. Last time I was in this region it was over a Memorial Day weekend, which was insane. This time, though, the trip was in late November, so the crowds were no problem. I mean, there were people there. It wasn’t deserted. But you could tell it wasn’t a hot time for tourists. Even though the weather was crazy beautiful, the water was swimmable, and it wasn’t under some odd inches of snow like we were back home. Typically I try to travel during shoulder season if possible. Saves so much $$$! And reduces that crowd stress.